1. This is the End (91), 2. Monsters University (90), 3. 42 (90), 4. The Place Beyond the Pines (88), 5. Fast & Furious 6 (90), 6. Mud (86), 7. Evil Dead (88), 8. Pain & Gain (83), 9. Spring Breakers (75), 10. The Croods (83). Here’s 11-15: 11. Star Trek Into Darkness (83), 12. The Great Gatsby (82), 13. Warm Bodies (80), 14. Now You See Me (80), 15. Iron Man 3 (80). Here’s the rest of the movies I’ve seen, ranked from best to worst (in blocks of five, so it’s easier on the eyes): The Last Stand (80); World War Z (75); The Heat (75); Mama (78); 20. Oz the Great and Powerful (75). Epic (74); The Incredible Burt Wonderstone (73); Identity Thief (72); Olympus Has Fallen (70); 25. Snitch (71). Oblivion (67); Gangster Squad (63); The Purge (57); Man of Steel (50); 30. Admission (56), Safe Haven (54). “Scary Movie 5“, 2013’s Worst Movie So Far (But I don’t think there will be a bigger shitfest this year). Here’s the List of Shame, the Bottom Five of the year: After Earth (40); Peeples (38); The Hangover Part III (25); Movie 43 (30); 36. Scary Movie 5 (0). Here was my Top 12 Most Anticipated Movies of the First Half of the Year: 1. Monsters University; 2. The Place Beyond the Pines; 3. Identity Thief; 4. Oz the Great and Powerful; 5. Gangster Squad; 6. 42; 7. Now You See Me; 8. Fast & Furious 6; 9. Man of Steel; 10. Oblivion; 11. The Purge: 12. Mud. 5 of my 12 most anticipated movies made the Top 10, and 6 made my top 15. “Oz the Great and Powerful” was only slightly satisfying. “Identity Thief”, and “Oblivion” were mildly disappointing. “Gangster Squad” was quite disappointing because it could have potentially been an Oscar contender, but it ended up not knowing if it wanted to be serious or just silly. It was a lightly entertaining gangster movie, apparently much like “The Untouchables”. I’d put “The Hangover Part III” in my Top 15 Anticipated of the First Half, so that is the biggest disappointment of the year because it just wasn’t funny. The third biggest disappointment would be “The Purge”, and the second would be “Man of Steel”. 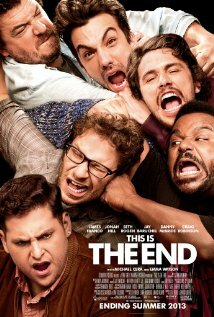 The best surprise of the year definitely has to be “This is the End”, even if I was quite excited for it. I knew it was going to be good, but not that good, and especially not movie of the year worthy. Out of the films I wasn’t anticipating at all, “World War Z” was probably the nicest surprise. These are the movies I missed, but will be checking out. I’ve only included the ones I could envision myself either popping into the DVD player, watching online, or going out to the theater and watching: A Good Day to Die Hard, Aftershock, Antiviral, Before Midnight, Berberian Sound Studio, The Bling Ring, Byzantium, The Call, Dark Skies, Dead Man Down, The East, Frances Ha, G.I. Joe: Retaliation, Ginger & Rosa, Hansel and Gretel: Witch Hunters, The Host, The Iceman, The Internship, The Kings of Summer, The Lords of Salem, Maniac, Much Ado About Nothing, Quartet, Room 237, The Sapphires, Side Effects, Song for Marion, Stand Up Guys, Stoker, To the Wonder, Trance, Upside Down, Upstream Color, Violet & Daisy, Welcome to the Punch, White House Down. So there you have it… What’s your favourite movie of the year so far, and your least favourite? I won’t put a poll because there are just too many titles, so let me know in the comments! This entry was posted in 2013 films, Anticipated Movies List; Monthly/Yearly Recaps and tagged 2013 movies, 42, Admission, After Earth, Epic, Evil Dead, Fast & Furious 6, Gangster Squad, Identity Thief, Iron Man 3, Mama, Man of Steel, Monsters University, Movie 43, Mud, Now You See Me, Oblivion, Olympus Has Fallen, Oz The Great and Powerful, Pain & Gain, Peeples, Safe Haven, Scary Movie 5, Snitch, Spring Breakers, Star Trek Into Darkness, The Croods, The Great Gatsby, The Hangover Part III, The Heat, The Incredible Burt Wonderstone, The Last Stand, The Place Beyond the Pines, The Purge, This is the End, Warm Bodies, World War Z by Daniel Prinn. Bookmark the permalink. It’s quite impressive how many films you see in theaters. Good job, Daniel! We agree, pretty much. I saw This Is the End yesterday and died laughing. Though I’d say Man of Steel (barely) tops it as best of the year; no one probably agrees with me hahah. 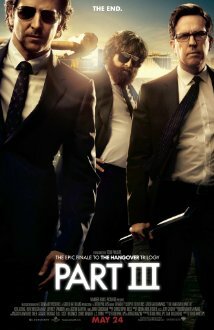 It’s definitely in my top 5 favourite comedies of the decade so far. I can really see it becoming 2013’s 21 Jump Street. Hahaha, yeah, we disagree on that one 😉 I’m sure there are some people who love it as much as you do, though! Gosh, Scary Movie 5 was just terrible wasn’t it? I can’t believe I wasted my time watching it. I’m not sure if I want to watch A Haunted House or not, because they sound so similar… But it could be funny to compare the two, since it has Marlon Wayans and he was actually made the first Scary Movie high-larious. “WASSSUP!” Hahaha. I really liked Mud and Star Trek and To the Wonder…. Oh great that you liked To the Wonder… I’ll have to check that out soon. Do you think I should watch The Tree of Life first to get used to Malick’s style? I’m glad you enjoyed those 🙂 I hope more people get to see Mud, now that’s a well-made film. Thanks for the comment, Cindy! I would go for To The Wonder first. Then do Tree of Life. He’s an acquired taste!